The Jewish Federation Connecting with Community welcomes Alisa Costa, Initiative Director for Working Cities Pittsfield, a resident driven program focused on building economic opportunity for all regardless of background. What happens when we look at our community through the lens of economic class? How does it change the way we see each other and interact? If we understand these differences, can we change the way our community functions so it benefits everyone? In this interactive program, learn about these differences and how small changes can make a big difference in our community. 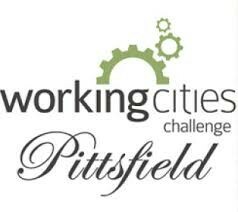 This initiative celebrates residents as leaders in building their own community and holds a vision for all people in Pittsfield to experience a just, thriving and safe community that leads to improved quality of life. This free program is part of the Federation’s Connecting With Community Series and will be followed by a kosher hot lunch. Lunch is a $2 suggested donation for adults over 60 years of age or $7 for all others. Advance reservations are required for lunch and can be made by calling (413) 442-2200 before 9 a.m. on the day of the program.